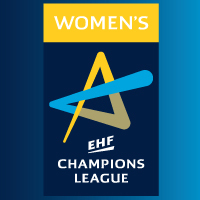 With the EHF Executive Committee having given a green light to the possibility of the organisation of a final tournament or Final4 at the end of the 2013/14 season in the Women's EHF Champions League, the bidding process for the organisation of an event scheduled for 3/4 May 2014 has now opened. The EHF and its marketing arm, EHF Marketing GmbH, have released a bidding document and are welcoming bids from clubs, national federations, agencies, arenas or any other institutions interested in hosting of a possible first edition of the event in 2014 with all its potential to become the highlight of European women's club handball. Bids can be submitted up to 10 September 2013. A decision on the awarding of the event will be made by the EHF Executive Committee at its meeting on 20 September. If the none of the bids meets the organisational or economic standards neceesary to carry out a top-class event, then the decision may be made to postpone the Final4 event to a later season. In which case final matches will be played in the traditional home and away format.